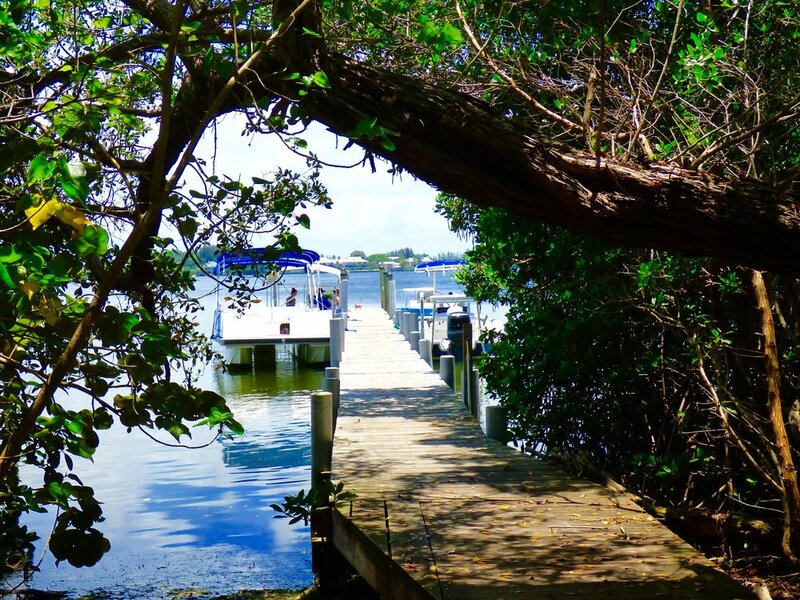 Our Island Concierge can meet you at the dock with a golf cart and help transport luggage and groceries to the house for you. The concierge can also be available to help take you back to the dock upon departure. Our on-island Guest Services Manager is available throughout your stay to assist with any questions or issues that may arise during your stay such as helping you with home amenities, supplying you with beach toys or umbrellas, refilling your grill's propane tank, stocking your pantry with paper towels, assisting you with WiFi capabilities, and anything else to ensure your stay is trouble-free!  Little Gasparilla Vacation Rentals provides complimentary trash pick up for guests. Pick up is weekly on Saturdays. If you are leaving any day other than Saturday, you are responsible for removing all of your refuse to the dumpster at the marina. If you are interested in arranging for any of these packages or services, please mention in your booking request. NEW! We now offer both an upon-arrival or mid-stay grocery delivery service. Have your groceries delivered on the day you arrive or send our shoppers to the mainland for additional groceries or things you might have forgotten. We can also arrange to purchase fishing poles for you if you are unable to travel with fishing poles or simply don’t want to bring yours with you. 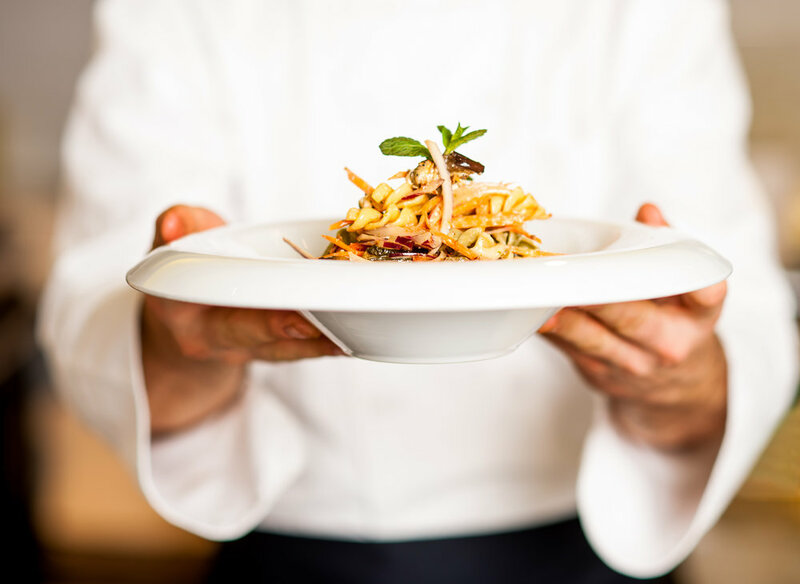 We have 2 private chefs who can cook a fabulous gourmet meal for a special occasion at a very reasonable cost. Spend more time on the beach and let us do the cooking for your romantic anniversary, special birthday, or family reunion. We've even catered several weddings on the island! Please allow at least 48 hours notice for shopping and preparation due to our island location. 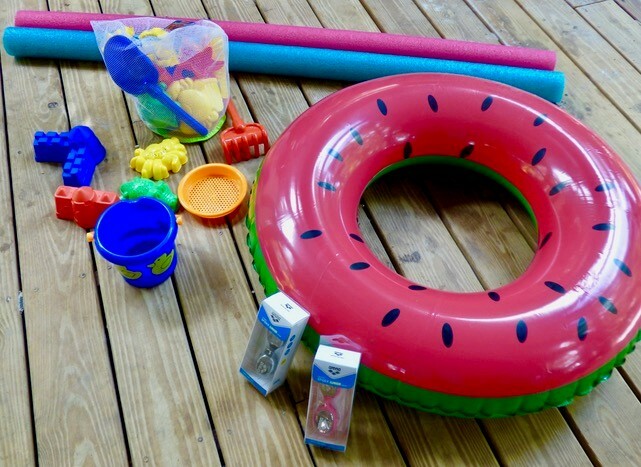 Our team can pre-set a children's beach welcome package in your home including goggles and pool noodles, a ring inflatable and a 20-piece mesh bag of sand toys, so you don't have to worry about packing those items or bringing them over to the island with you in the water taxi. Celebrating a special anniversary or just want to wow your loved one with a romantic arrival to your vacation rental home? Our team can pre-set delicious chocolate covered strawberries and a bottle of champagne with two engraved Little Gasparilla champagne flutes, to welcome you to your island paradise! Set the mood for a beautiful island sunset with a charcuterie board and wine amenity. It will taste even better when you don't have to take the time to make it. The sunset package includes two bottles of wine, two engraved Little Gasparilla wine glasses, charcuterie board, and assorted mixed nuts. Our team will deliver it to your house so all you have to do is cheers and enjoy!